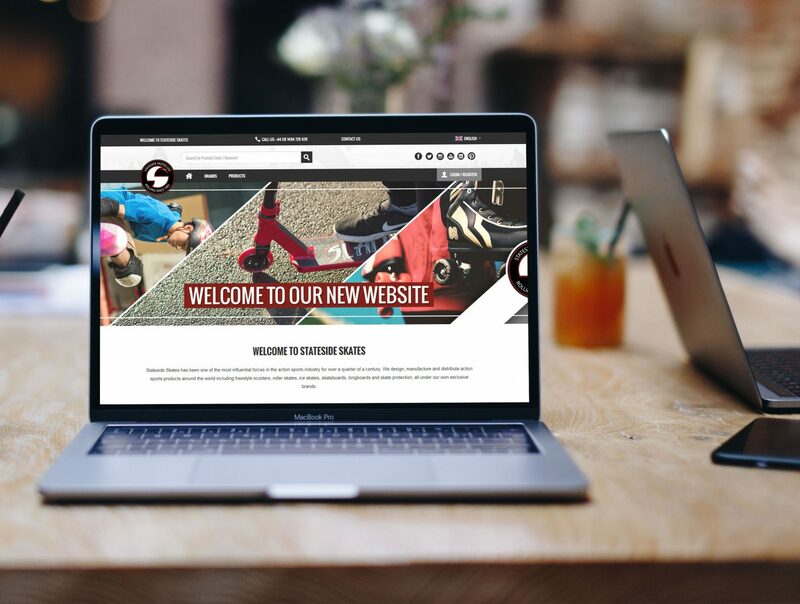 A powerful B2B ecommerce platform for the global action sports product designer, manufacturer and distributor Stateside Skates. Stateside Skates has been one of the most influential forces in the action sports industry for over a quarter of a century. The company designs, manufactures and distributes action sports products around the world including freestyle scooters, roller skates, ice skates, skateboards, longboards and skate protection, all under its own exclusive brands. 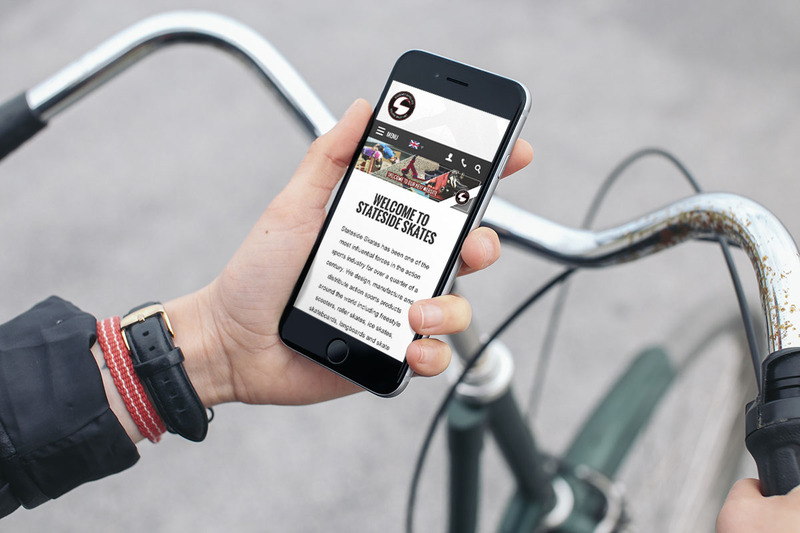 Stateside Skates needed a fresh, up to date B2B ecommerce site to reflect its growth and international market appeal. The site needed to integrate into its back-end Prima ERP system and provide a first class user experience for its clients across the globe. The site had to showcase Stateside Skates’ products to full effect. Equally, the site had to be easily navigable and simple to use to make purchasing easy and intuitive. The system needed to integrate with the Prima ERP system. Prima provides key elements to Stateside Skates’ back office system including purchase order processing, product management, stock control and planning, despatch management, carrier integration, customer management and marketing. Stateside Skates has customers all over the world, so giving everyone the same first class user experience was paramount. Multilingual and multi-currency, the site means overseas customers are catered for in style. “The Stateside Skates B2B website has provided access to our global community of customers and showcased our excellent products to their full potential. Customers are able to see everything we offer and buy from us round the clock. PureNet understood our business needs and have provided a first class solution to help realise our ambitions”. Average Order Value (AOV) increased by 16% year on year with the website as they were exposed to new products through cross selling. The website is managed and monitored 7 days a week across the year with a 100% network uptime guarantee. Are you looking for record-breaking ecommerce?